CPT is a family run business started in 1993. Now we offer services in transport, storage and packing and delivering pallets. We started with the restoration and building of pallets, supplying all areas of industry throughout Northern Ireland. As our network of customers grew the need to deliver more loads enabled us to expand the company and move into the haulage sector. This has enabled us to deliver goods to the UK, Ireland and the rest of Europe. Since 1998 we have been transporting goods throughout Europe and have built up a great relationship with our customers and make it our goal to meet their business needs. The latest development into providing a fuller service to our customers, are our warehousing facilities. With over 100,000 square ft of secure space, we're sure we can find space for your goods. For more information on what we have to offer, check out services for further details. 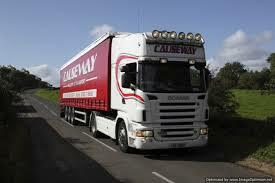 We are Irelands only pallet and transport service supplier. Our reputation as one of Ireland and the UK's leading service providers in these industries is built on our competitive pricing, prompt and reliable service. When you need pallets for storing your products. When you want goods collected/delivered, we can arrange the transport and when you need your products stored, we have the facilities. Many options are available to you when purchasing pallets from us, the choice is yours. We endure to provide you with strong, durable pallet packaging solution. With over 100,000ft2 of storage space here at Causeway Pallets & Transport, we have enough space where your stock can be stored in a clean and safe environment.